I concentrate on making pipes and I only sell my pipes through my retailers! Please contact my retailers directly if you want to buy my pipes and tampers. 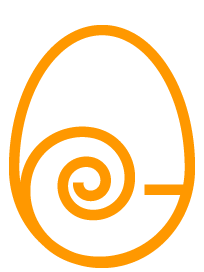 A stylistic rendering of the Nautilus as the yolk of an egg, morfed with the letter "G"
I began collecting pipes and I was interested in all shapes and I liked the classic shapes as well as the freehand. I soon I felt the need to build more knowledge and background on the topic and started searching for information and documentation on this subject. I read a lots of books on the art of pipe-making and I visited museums and workshops in Italy and abroad. The pleasure I felt when smoking my pipes, made me desire to make one by myself. I did, and the rest is history. I now have my own workshop where I make 60-80 pipes per year. Their shape may range from classic to freehand, and always with a twist of my own personal style. I'm very inspired by the movement of fish in water and of the movements of the sea and nature in general. I personally select my blocks of briar. I get them in Liguria (at Mimmo’s) and in Tuscany. The blocks are left to air-dry in my workshop where i periodically test the blocks, verifying the color and weight. No block is before 6 years of aging in my workshop. All my pipes are hand carved and the bore of bowl and the stem are drilled by hand. My mouthpieces are handmade of high-grade ebonite or cumberland, often fitted with a ring of boxwood or other exotic wood. Depending go the grain (and my creative mood) I make my pipes smooth, blast, rusticated - or any combination that serves the expression I want to give the pipe. The finishing is made with a smooth stain that gives a natural contrast and carnauba wax. 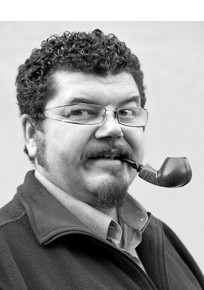 Every year I take part in several exhibitions, and I am often involved in lectures about the Art of pipe-making.